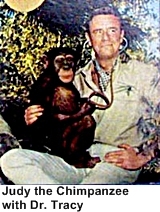 The show chronicles the adventures of fictional Dr. Marsh Tracy (Marshall Thompson) at the Wameru Study Centre for Animal Behaviour in East Africa. 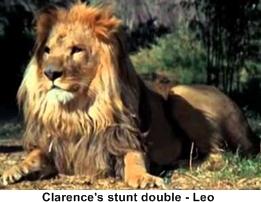 He is aided in his vetrenarian duties by his daughter Paula (Cheryl Miller), a cross-eyed lion named Clarence and Judy a chimpanzee. The action comes from them trying to protect the animals in the preserve from poachers, natural disasters and uncaring local natives. This was primarily a childrens show so the good guys are always obviously in the right and the bad guys cleary defined. 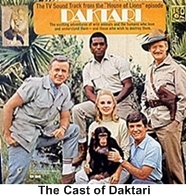 With that said the episode plots did deal with a lot of topical issues concerning animal conservation and rights as well as over development of protected lands. 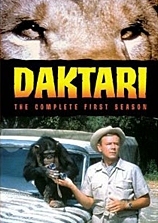 Daktari is inspired by a real life animal conservationist, Dr. A.M. “Toni” Harthoorn and his wife Sue who have an animal orphanage in Nairobi. 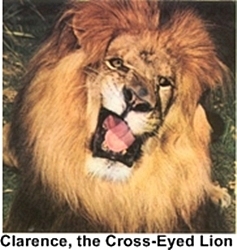 The series was a feature movie called Clarence, the Cross-Eyed Lion before coming to television. It also starred Marshall Thompson and Cheryl Miller. Daktari is the Swahili word for “Doctor”. Dr Tracy and his daughter were joined from time to time by British Officer Hedley (Hedley Mattingly) who was the game warden in the territory. Also helping was Jack Dane (Yale Summers) who was another American in Africa along with Mike Makula (Hari Rhodes) a local East African who fortunately spoke the language and knew the territory. 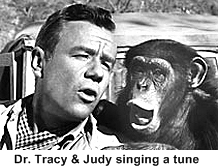 Although the show took a series stab at animal issues the true heroes were usually the lion, Clarence and the chimp, Judy who would inevitablely solve the episode’s dillima and save the day. . . . now that’s what I call animal rights.